When the Green Homes North proposal to build one hundred new homes in north Minneapolis over the next five years was first rolled out, I was ecstatic. The influx of new housing units could have the potential to spur much-needed development and revitalization. And when it came time to submit public comments, I made my top priority very clear: Not a single "green home" eligible property should come from a demolition. With hundreds of vacant lots in our community already, I adamantly opposed creating incentives for even more demolitions. Furthermore, when accounting for embodied energy, the greenest house is most often the one that is already built. If this were to truly be a "green" project, then preservation would be a priority. The Jordan neighborhood alone has over fifty properties eligible for the Green Homes North program. Six currently have structures on them, and a seventh was demolished recently enough that the dirt hasn't been covered in snow. 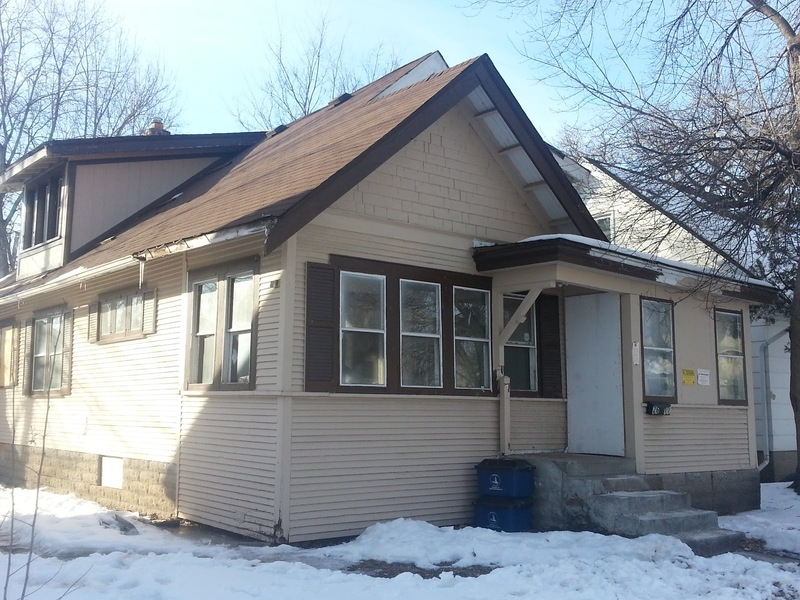 One property, 3015 Morgan Avenue North, is pictured above, and by outward appearances would be a viable rehab candidate. ...2719 Irving Avenue North. 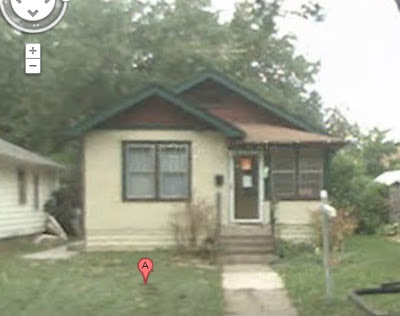 Here is a Google Street View image of what was once there. Perhaps the most famous house on this list is at 2637 Emerson Avenue North. When the city considered acquisition of that property, I gave my input that the built form was solid and that the 2600 block of Emerson wouldn't be improved by a fifth vacant lot. Well, the city went ahead with acquisition and demolition anyway. And then Nicole Curtis, the Rehab Addict, staged a dramatic showdown with the city of Minneapolis when a backhoe was seen parked next to the house. She posted pictures and an entreaty for preservation on her Facebook and Twitter feeds. That night alone, over 115 calls were logged by 311 demanding that the house be saved. The next day, the backhoe was miraculously gone. I'm not too fond of either 2611 James Avenue North, which seems like a garbled architectural mess, nor of 2819 Knox Avenue North, which is basically a nondescript box. But do either of them need to be torn down? In each case, I would advocate against demolition at least until a proposal is brought forward through the program. Then the neighborhood and city could evaluate whether the new house is a better fit. If I were to favor demolition prior to that, it would be on personal aesthetic grounds. And I would rather a more objective approach be utilized. 2934 Queen Avenue North, however, definitely looks like one that would be a great rehab property. I walk my dog past this one on a fairly regular basis and know the property quite well. 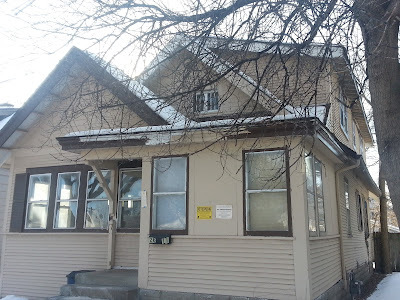 The final two properties appear to be headed towards rehab already. 2046 James Avenue North has been the topic of some discussion about saving, although its survival is far from guaranteed. 2114 Irving Avenue North was slated for demolition when neighbors began to protest. To their credit, CM Samuels and the appropriate city departments did respond well in that case. The property is off the demolition roster and I'm told Urban Homeworks will be doing the rehab. But the broader question remains: How did either of these houses get slated for demolition in the first place? Furthermore, the top sales price for a Green Homes North lot in Jordan is just over $4,000, which seems to indicate that the new developers aren't picking up the tab for the demolitions. You and I, as taxpayers, have that privilege, as the "green" in Green Homes North apparently refers to the money we continue to spend on the unwarranted destruction of our housing stock. ADDENDUM: In the original post, 2637 Emerson Ave N was not included. The post has been updated with that property. Green as a Pigs Eye! Which of our Civil Servants wants to stand up and take responsibility for this fraud? I thought this program was supposed to fill vacant lots - not create new ones? Keep up the great work Nicole Curtis! I have to wonder who is getting the kickbacks from all these demolitions. Typical of goverment officials. Most of them don't even know what green means. ISN"T it SAD that someone has to STAGE A DRAMATIC face off with the CITY to get action? Amen Anon...create new Vacant lots??? 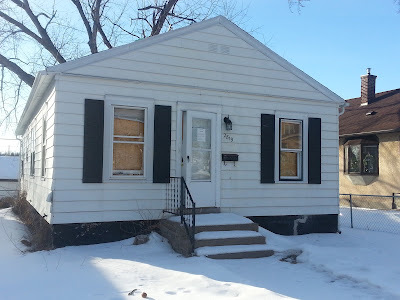 resident of Minneapolis and have to be sickened every time I see one of these homes destroyed. When you have people willing to restore them, wake up and let them restore these old homes your neighborhoods. Does anyhow know how many vacant lots there are in North Minneapolis now? I've heard everything between 500 and 1,000. Anyone have the legit stat? This issue isn't even a referendum on new homes vs. old. We have HUNDREDS and HUNDREDS of vacant lots. And yet we are identifying sites for "Green Homes North" construction on lots where houses already exist?There is a lack of value and understanding that these old houses are developmental assets - not liabilities. And there is an utter failure of leadership from the city council to recognize that this department is completely off its rails and has been for a very, very long time. Sad, history is so easily brushed aside, for this slight-of-hand, pretend to restore neighborhoods. Nicole Curtis proved with her "Dollar" house, how little it take to save these home, and how beautifully restored home she left in her wake. Does anyone know how many vacant lots we actually have? I've heard everywhere between 500 and 1,000. Does anyone have the legit stat? I used to live in one of the houses mentioned by Jeff in this blog...2934 Queen Ave N. At that time, I was the 2nd owner, having bought the property from a man who was born in the house and was living in a nursing home. Everything in that house was original. I lost the house in a break-up in 2003 (never let your partner talk you into putting property in their name only) and never saw the inside of the house again. It was sold and turned into a rental. I don't know what they did to it, but the house had great bones....original light fixtures, french doors, kitchen cabinets,claw foot tub, siding and built ins from 1922. I loved that house and hope it can be brought back to life. this is totally insane! There is squat *hit "green" about this project. Making it even sting just more is the tax payers having to foot the bill for the actual tear down! It baffles me how people can just tear away at history like that instead of preserving it. Keep your chin and hard work up! Shouldnt green be use less vs create more waste? If you tear down these homes you create more CO in the air with the machinery that is used to take these homes down. nothing you put in new will even come close to the surrounding homes. I have see this first hand in my hometown after a flood some homes were so bad they had to take them down lots sat empty then rebuilt but look like a pimple on a teen. Rehab/refurbish the existing. Its just a waste of resources to tear them down. Why waste all the resources to tear them down when you can rehab/refurbish them. Waste of time energy. I do not see the "Green" in this. Some one tell me how this is gonna be green? From Spending all the effort into using a excavator to tear it down to equipment rebuilding(CO2 into the air) something new. Don't even try to get them stop demolition on 2819 Knox. You will have the entire block in arms against you. You have not been in the house Jeff and though I think your mission to preserve homes is admirable and one i am in favor of, you often speak from limited knowledge. 2819 Knox has been open to the element since the tornado, is a water saturated, dysfunctional floor plan with a sinking foundation on the rear addition. From what I understand, the new homes being built in Jordan are on already vacant lots. Literally one might come to the conclusion that they all had structures on them at one time. Let's get ahead of this and evaluate these homes when we have the opportunity and see if we can get them into the Land Bank which will give us time to find developers / buyers. We need to have that discussion ASAP. Given the tremendously wasteful demolition of 1551 Hillside, and how that block acted during that process, I'm not terribly worried about having an entire block "up in arms" against me. Deb, did you not read the post at all? Or look at the pictures? All of the homes shown here are on the Green Homes North list of eligible properties. I'm beginning to think that the only way to get ahead of this (and by "this" I mean the city's perpetual demolition problem) is a flat-out moratorium on all CPED demolitions until there is a better process in place. 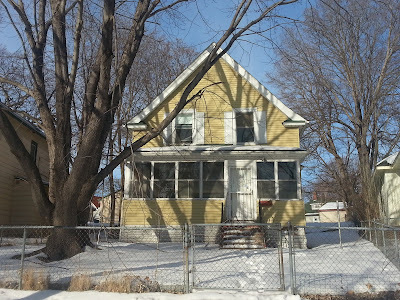 So to be entirely frank, the City of Minneapolis has not demonstrated the capability to ably judge which houses should and should not be torn down. Therefore when implementing a program like Green Homes North, demolitions should not factor into the equation in any way whatsoever. Um Yes, they all did have structures on them at some point. How many vacant lots do we need? And when might that opportunity to evaluate these homes be? Where do we find the time to give input when the City has already made the decision to demo for us? Green does not mean demolition. Demolition should be the absolutely last resort. Many of the places you seem determined to destroy were built by craftsman, unlike the through together houses today. I thought a city like Minneapolis was more forward thinking than that.... I guess I was wrong! 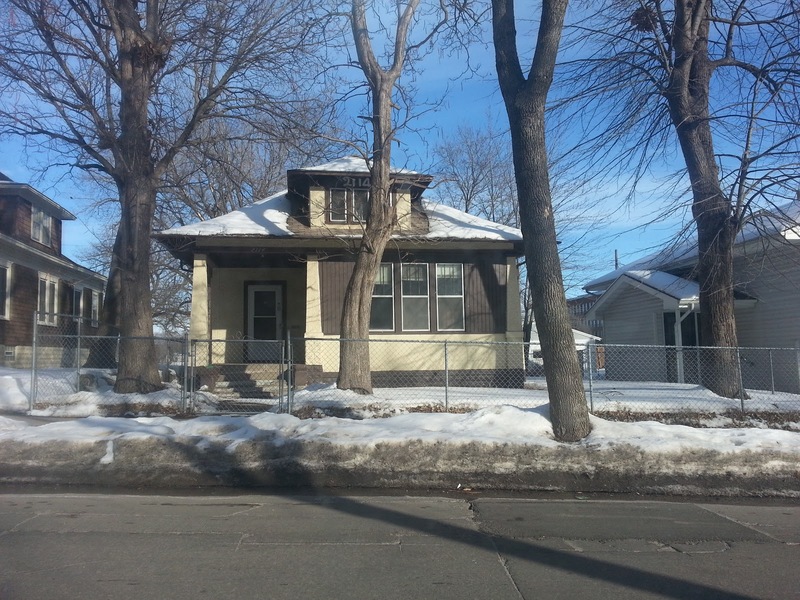 2114 Irving Avenue North is an adorable bungalow, which does not look to be in that bad a shape. To paraphrase Nicole, 'Oh my GAWD, why in the hell would you demolish THAT?' And make the taxpayers foot the bill for that stupidity? Ridiculous. Someone needs a moratorium, fast. I'm not in favor of a moratorium. Think burned out house at Penn and Golden Valley Road? But clearly these waivers need to go (Jordan residents will understand what that means). We need more community say about what should and should not stay. I'm in agreement with Deb that the one she mentioned should go. I've been in the others though - OMG. They are great! Clearly the correct judgement calls are not being made. The community should not be abdicating their voice on these matters and have more direct involvement. There are certainly houses that are in dire need of demolition. I'm glad that the blue twins across the street from me are down, for instance. And I agree that the arson-damaged Dream Home at Penn and GVR is also among them. The reason I think a moratorium deserves to be part of the discussion is because it's becoming more and more obvious that viable properties are being torn down at an alarming rate. Maybe the only way we're going to get this right is if we stop ALL demolitions until then. I am appalled at the fact that 2114 Irving was on the list. This was an erroneous addition to the demo bucket as I understood it and the house is ADORABLE. From having peered in the windows, it looks practically move-in ready. The only exception is if any of these houses were drug/meth houses. Then they would need to be torn down because of the toxic implications. This can't be the case with ALL of them though. 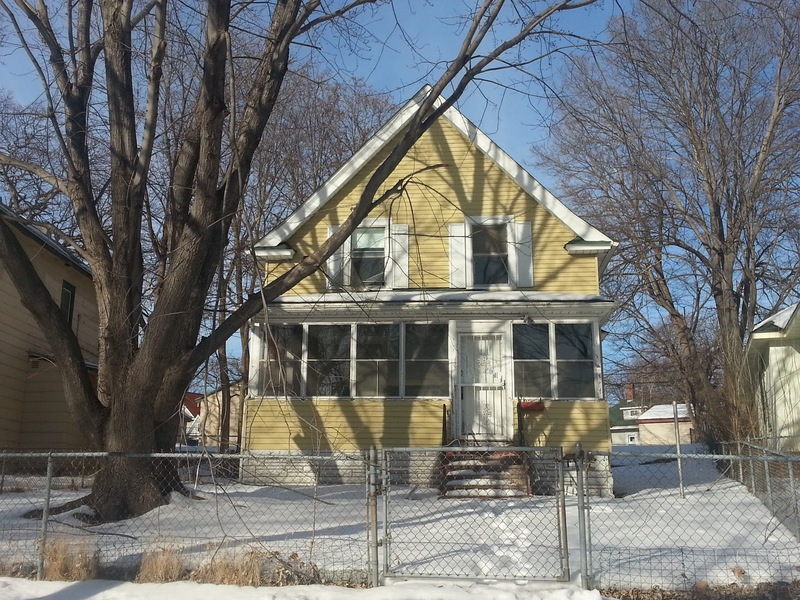 When is the last time anyone in the community got information regarding a potential Meth house? "Why doesn't the City post the assessors finding so that community members can make informed decisions regarding demolitions?" is the demolition list, opublic information? if so, where can you find it? also im very interested in the list of vacant lots - is that on the city website anywhere ? Yes, it is public information available on the City's website at http://www.minneapolismn.gov/www/groups/public/@regservices/documents/webcontent/convert_254314.pdf. Residents need to understand municipal ordinances and processes before alleging systematic wrongdoing. The City does not make money by demolishing properties, and taxpayers do not pay for demolition. @RJF, I agree with your statement that the city does not make money from demolitions. I don't think there's some sinister plot afoot or some group raking in the cash. I think it's more like city bureaucrats who have worked with demo contractors for years, perhaps decades. So they get this house, and they don't know what to do with it because preservation was never really a priority. "What to do?" thinks the city staffer. "Why, I'll just give my good buddy Ed a call. That'll take care of that problem, and I'll feel good for giving a friend some business." That, to me, seems a far more likely scenario. These houses are torn down because of habit and relationships. In terms of the last statement that taxpayers don't pay for demolitions, I don't know where in hell you cooked that up because it couldn't be farther from the truth. 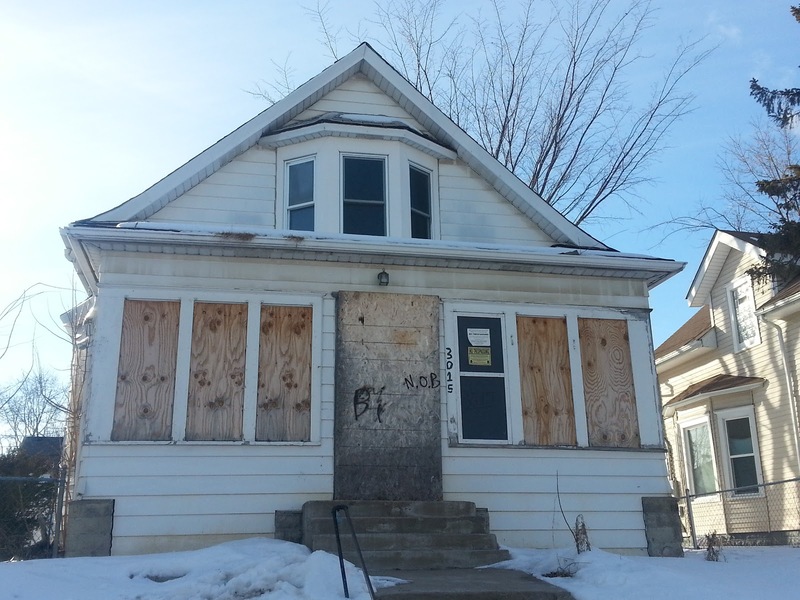 The most recent wave of demolitions came from NSP (Neighborhood Stabilization Program) funds. That's federal money. 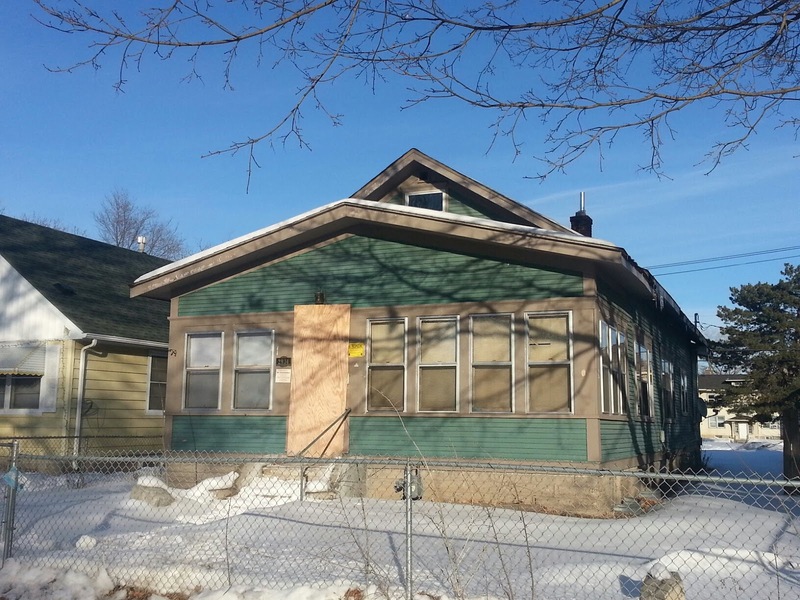 Before that, Hennepin County subsidized a demolition push in north Minneapolis. Sometimes the fee is put on the property as an assessment, but most of those go unpaid until tax forfeiture. Others are waived so that new construction can happen. Out of the 200+ Green Homes North parcels, for instance, not a single one of them is listed for sale above $6,000. Demos cost $10-20,000 on up, so even without any other holding, administrative, or maintenance costs, the city gets the short end of the fiscal stick. Who, if not taxpayers, covers that? Ok, Ok, you are right that because NSP is a HUD program, and because HUD is a department of the Federal Government, that any grant from such an organization does in fact ultimately come from tax dollars. However, grants disbursed by the Federal Government are an extremely complex and bureaucratic process that neither I nor anybody this side of an expert in Federal tax and fiscal policy can even pretend to understand the intricacies of. Both the post and a number of comments implies that the residents of Minneapolis (or even just North Side neighborhoods) are having their pockets picked to subsidize the "unwarranted destruction of our housing stock." When in fact, each stage of NSP grants are part of much larger federal legislative acts passed by the US Congress, which are not funded by a single revenue source, let alone the taxes of a targeted portion of a mid-sized municipality. Although we all pay federal taxes, it is impossible to determine what, if any, portion of the taxes we paid to the Federal Government came back in the form of NSP grants for the demolition of North Side properties. Taxpayers? sure. but then the entirety of the nation is helping to foot the bill of demolishing the North Side. It is a bit of a stretch, yes? I don't want to argue about the nuts and bolts of federal grant funding. I admit that my previous post came across as ignorant due to its brevity. I might have been a little too terse in order to illustrate the point that we, North Side taxpayers, are not directly paying for the City of Minneapolis to tear down houses in our neighborhoods. Municipal decisions are not as simple and haphazard as your obtuse hypothetical about a bureaucrat and his contractor buddy Ed might suggest. You say yourself that the City gets the short end of the fiscal stick -- Why then do so many people believe that the City has something gain from punishing taxpayers? Too often lay critics cast stones before realizing the sum total. I am not familiar with the specifics of the Green Homes North program, but I gather that you feel that the City has deceived the North Side yet again. Tell Don Samuels about it, he is after all running for Mayor. I'll have a longer answer later but the shorter response is that it's generally easier to believe that someone is benefitting from a conspiracy than to realize the whole system is flawed. Just because it is easier to believe does not mean that it is true. Rather, it means that is lazy thinking. Think they'll only distribute the list of "available" lots to their "authorized" contractors so y'all can't check the lots and embarass them again? No list of lots, no Planning Applications report. Is this PUBLIC information or isn't it? I'm actually supportive of Green Homes North going on existing vacant lots. But I agree with your speculation that the lists won't be as public as before. The city has stopped publishing their planning applications emails when preservationists used those notifications to save houses and point out the disparity of northside demolitions. Good work propelling these issues forward.